Emma Miller reports on refugees who've started a farm in Orange County growing crops from their native Burma. 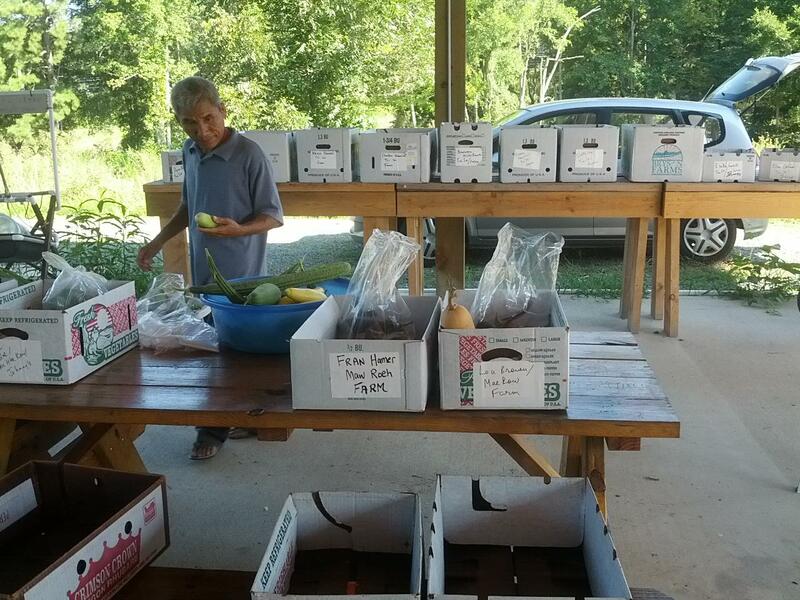 Maw Roeh packing boxes of produce for his customers at the Transplanting Traditions farm in Orange County. Some refugees in Chapel Hill are finding a way to reconnect with their native farming tradition. The Karen are a displaced ethnic minority from the Southeast Asian nation of Burma (also known as Myanmar). More than a thousand have ended up in Orange County through resettlement programs, which place them in areas like Chapel Hill with free transportation, good schools and available work as housekeepers. With the help of a community farming project, Karen people in Chapel Hill are once again growing Burmese crops and making money along the way. 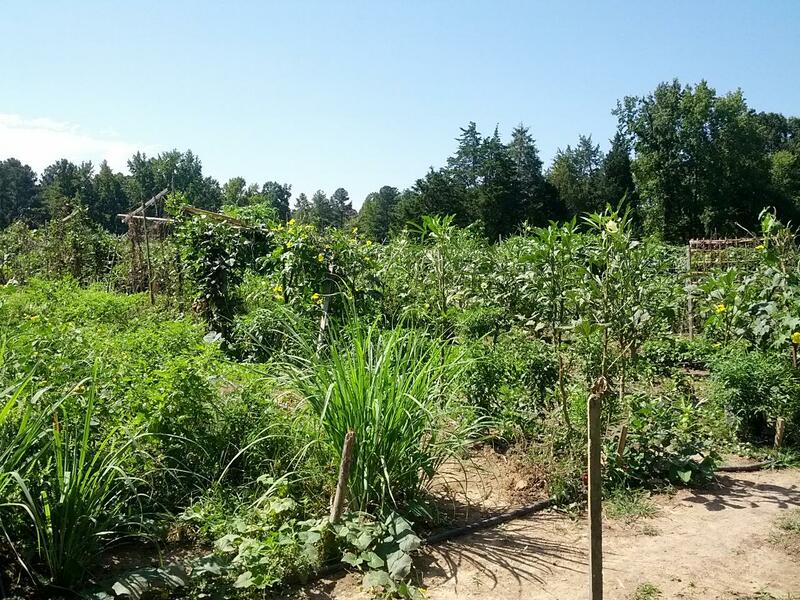 Four miles outside of Carrboro, just off of Jones Ferry Road, the Transplanting Traditions Community Farm buzzes with activity and chatter. 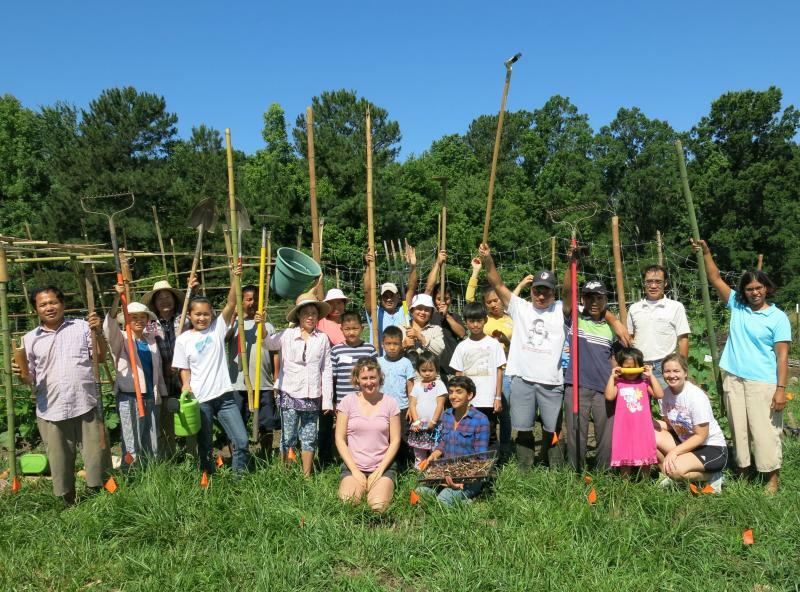 Here, thirty-one Karen families grow crops on a four-acre plot owned and preserved by the Triangle Land Conservancy. All are refugees who once farmed in their native Burma. Many fled to escape persecution and spent years living in refugee camps in Thailand. Now, in the States, most work overnight at low-wage service jobs. They come to the farm as soon as their shifts end. Kelly Owensby is the farm’s project manager. She teaches the refugees how to grow healthy crops in the Piedmont climate -- and how to sell them. Owensby says that back in Burma, farming is a huge part of community and culture. April Paw has worked on the farm for two years now. She left a refugee camp in Thailand to move to Chapel Hill six years ago. “I grow the loofah, natado, we call from my language, and hot pepper, eggplant, banana pepper. I like very much to work here. Like if I want to eat something like my country, then I have it," Paw says. Eh Thwa Pee, a refugee who serves as a translator for the project, says that the farm also fills a role as a gathering place for the Karen. Today is pick-up day for the farm’s CSA program. That stands for community-supported agriculture. Owensby delivers announcements with Eh Thwa Pee’s help. Then, farmers pack boxes of fresh produce for customers. Some crops are instantly recognizable: collards, winter squash, peppers and sweet potatoes. But there are other less familiar vegetables, too: lemongrass, roselle, round green things the size of golf balls that I’m told are Thai eggplants. Those are crops traditionally grown in Burma. The farmers will take their boxes of produce to Johnny’s Store in Carrboro, where customers who have paid to receive weekly deliveries will pick them up. Transplanting Traditions has already brought in $33,000 through its CSA program this year, and all of that money goes to the farmers. But there are benefits outside the financial for those who work on the farm. Pi Do is a farmer who came to Chapel Hill this year with his wife and three kids after living in Virginia for six years. Before that, he lived in a refugee camp in Thailand. Pi Do says through Eh Thwa Pee that his health has improved since getting involved. And Owensby says that the farm also gives refugees something to be proud of. “I have one woman who said when she got her first job at UNC — she’s a housekeeper - she’s very grateful for that job, but that she thought to herself, 'I’m going to be here cleaning, in the dark, for the rest of my life,'" Owensby says. This summer, a successful campaign through the crowdfunding website Indiegogo brought in $30,000 for the farm. Though that will enable the project to continue. Owensby stresses that the farm needs more money to get more Karen families off its waitlist and out on to the land. Original story: Akib Khan Looks Into The Growing Community Of Burmese Refugees In Carrboro. 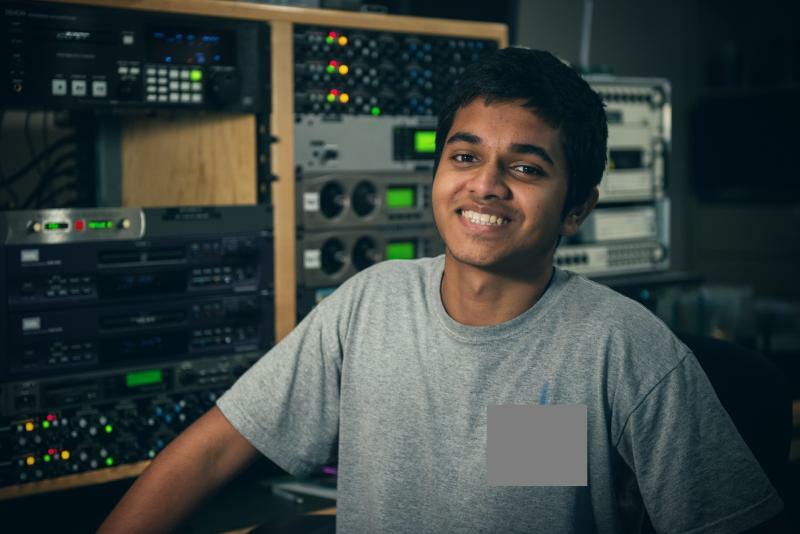 This summer WUNC has been working with six youth reporters as part of the Summer Youth Radio Institute in our American Graduate Project. Akib Khan moved with his family to the U.S. from Dhaka, Bangladesh when he was nine years old. He reports on the Burmese refugee community in Carrboro. Abdul Hussain and his family came to Carrboro in July. Hussain grew up in Burma. He says when he was 13, the local government made false allegations against him, forcing him to flee his homeland and that this happens to many minorities in Burma. He lived in Malaysia for years before finally being granted asylum in the United States. When he arrived, the first thing he did was look for something familiar—as a Muslim, he wanted to find a mosque.